You may be wondering why, in 2016, I’m writing about Ralph Lauren’s Safari, a fragrance that launched way back in the 90’s. It could be because the perfumer, Dominique Ropion, is one of the great classic noses of our time, but that’s not the reason. Perhaps it’s because it’s almost the summer holidays and I’m in the mood for exotic exploration. But that’s not the reason either. It’s not even the case that Safari is a legendary classic in the way that Shalimar or Nº5 are, but once again, that’s neither the reason nor the case. No, I write about Safari for a reason that is entirely more personal. I write about Safari because it is my mother’s fragrance. Let’s cast our minds back to the early 1990s to a sleepy little village in the heart of Bedfordshire. My mother, in her own words, spent the majority of the 1980s and early 1990s pregnant and raising four wonderful children (I may have added the ‘wonderful’), so when she got the opportunity to go out, she went all out. I always remember her as being the ultimate Glamasaurus Rex: a vision in a Versace dress and Butler & Wilson jewellery. Her dress sense was exuberant and eclectic, whether she be rocking a blood red Valentino suit or a confrontationally patterned Lacroix jacket, but there would always be one constant in her party ensemble: a mushroom cloud of Safari. But why Safari? Well, Mummy Candy says that at that time, everyone was wearing Youth Dew, Opium and Poison, all of which were too heavy for her. Never being one to follow trends, Mother Dearest picked up something that she felt was entirely more timeless, evoking the classic Italian beauties that she admired. “Safari is the Sophia Loren of perfumes” she told me recently, “it is poised, effortless and dripping with glamour”. Well, who is to argue with an association as bold as that?! Like Friday nights, big hair, makeup and jewels. Or in olfactory terms, Safari can be classified as a floral chypre of the blousy variety. It opens crisp and green with a dry blast of galbanum that is crunchy and stiff. Quickly a fizz of aldehydes rise up like bubbles climbing the insides of a champagne flute. They merge with a sweet and dewy citrus note that takes some of the bitterness out of the greener notes, making for something a little bit softer. 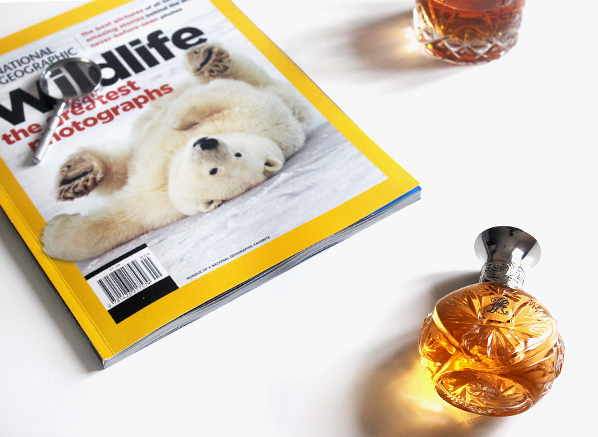 The overall impression is of a golden chypre with a sunny disposition and a cuddly, approachable air. The real glamour takes place in the heart which is a huge blend of roses, white flowers and iris. Remember in the 90s when ‘gaudy’ was the in thing? Versace shoved gigantic golden Medusa heads on pretty much everything, not to mention the safety pins and Mugler was making shoulders big enough to cause long term musculoskeletal problems for his models. Pretty much every designer tried to do away with the bleughness of grunge by pairing minimalist fashion with tacky embellishments. Well, Safari has that vibe to it with its floral heart. These are go big or go home flowers, all syrupy sweet, buxom and begging to be paired with some oversized clip on earrings. In the base, Safari offers up a glorious foundation of mosses and woods. The overall tone is once again golden, but deeper than the opening’s champagne fizz. This chypre base is what turns Safari from being just another 90s floral to something a bit more elegant, adding a classic structure to the composition. It emphasises the bite of the galbanum but also intensifies the sugary warmth of the flowers, allowing for an exciting juxtaposition to take place. I was very impressed with the customer service and fast delivery from esscentual.com. You cannot track the packages unfortunately, but mine got to me on time and safely. Shalimar is a great evening parfum for those fond of vanillery, spicy orientals. 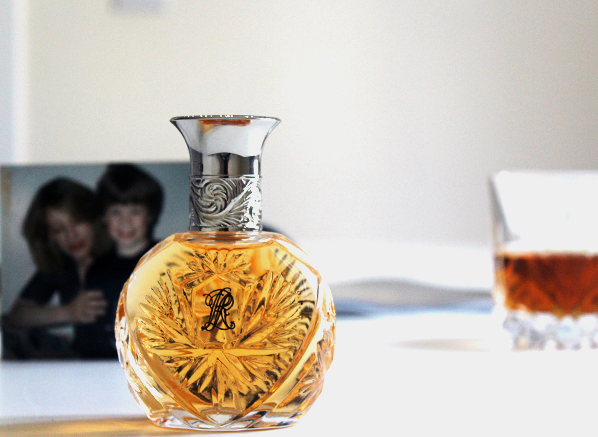 It is a rich parfum and has a lot of oomph and projection. Recommended for 30+ evening wear. If you are a Queen of showmance and romance this might just be the parfum for you! This entry was posted on Wednesday, June 22nd, 2016 at 11:53 am and is filed under Candy Perfume Boy, Fragrance, Tried & Tested. You can follow any responses to this entry through the RSS 2.0 feed. You can skip to the end and leave a response. Pinging is currently not allowed.